FeverSocial’s Prize Manager helps you handle prize setting, prize drawing, winner notification, and winner data collection processes. Set any number of prizes and quantities and the Prize Manager will calculate up-to-date winning odds for each prize as your sweepstake progresses. Prize Tip Count： Create more buzz and get participants to rally friends by setting thresholds for number of entries reached to unlock additional prizes. Create e-coupon or upload any set of unique redemption codes to drive sales in your store or e-shop; winner receives the coupon or redemption code instantly on the campaign page. 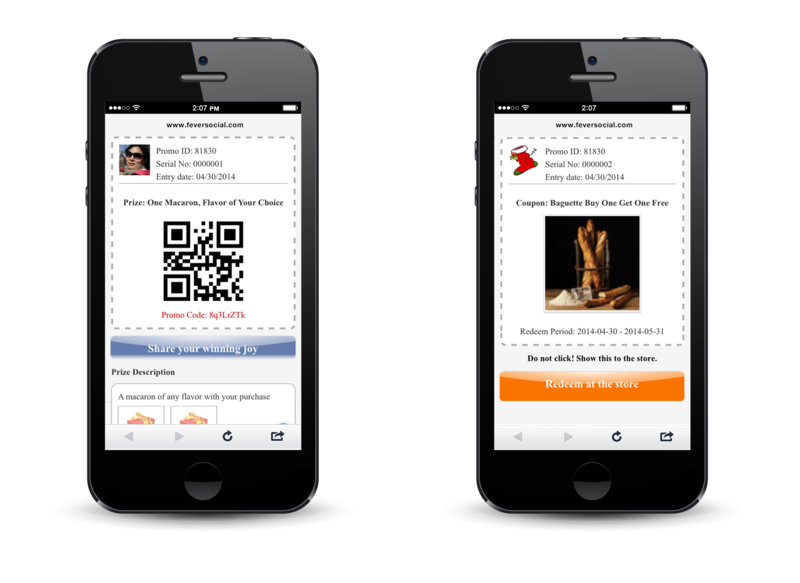 Coupon redemption can be performed on smartphones, or from Prize Manager dashboard. QR code is generated for each redemption code to integrate with your POS system. Use in combo with Lucky Draw: Extend the buzz by setting a lucky draw prize in addition to your first-come-first-win e-coupons or redemption codes; when these instant prizes have all been given out, instead of ending the promotion, you can still invite new participants to enter in the lucky draw. Boost participants’ excitement by adding a twist to the instant reward. Prizes can scratched open right on winners’ smartphones or computer screens! 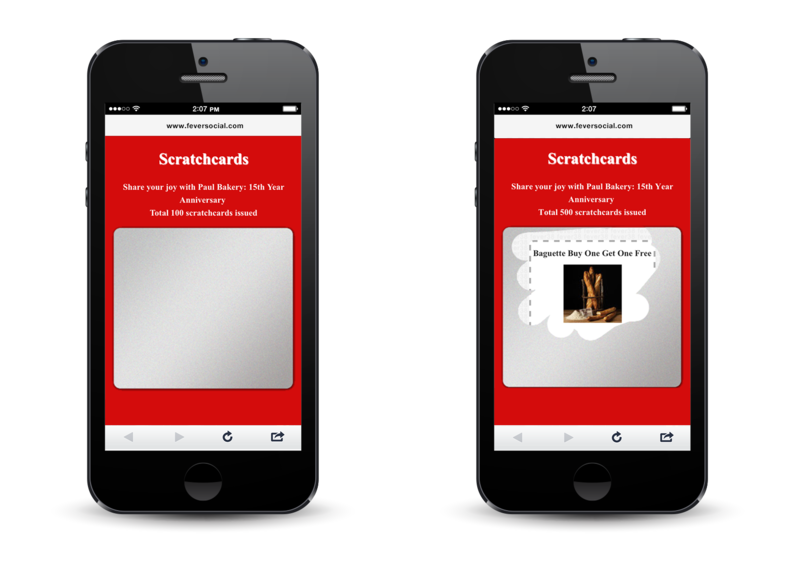 Decide how many e-scratchcards to issue and then set different types of prizes and respective quantities. Prizes can include various e-coupons, redemption codes, or physical/shippable goods. You can also create a Thank You message for non-winning cards. The Prize Manager will keep track of the winning odds for each prize as each scratchcard is given out. You don’t need to download entries into excel, or use a random number generator to administer your prize drawing! 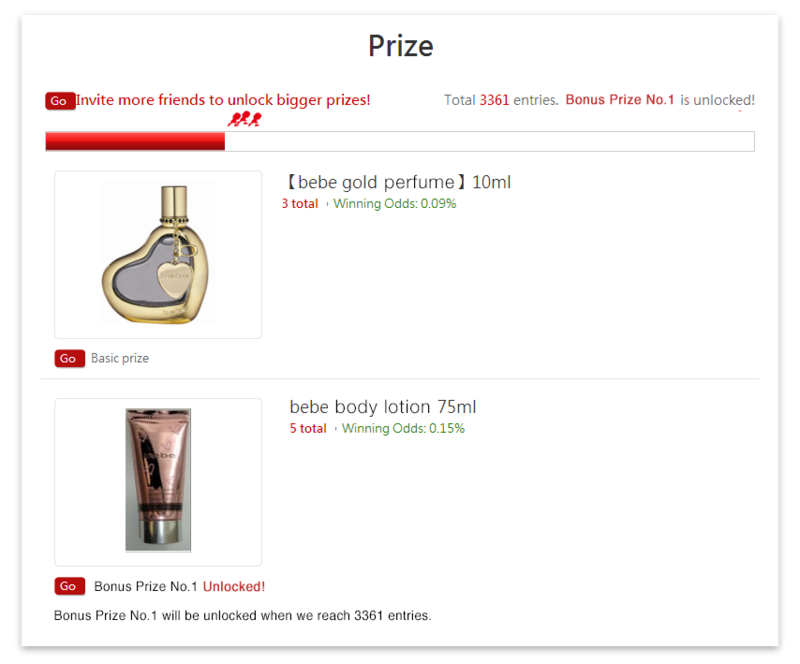 The Prize Manager helps you select winners based on entry eligibility, send winner notifications, and manage coupon redemption reminders and expiration.